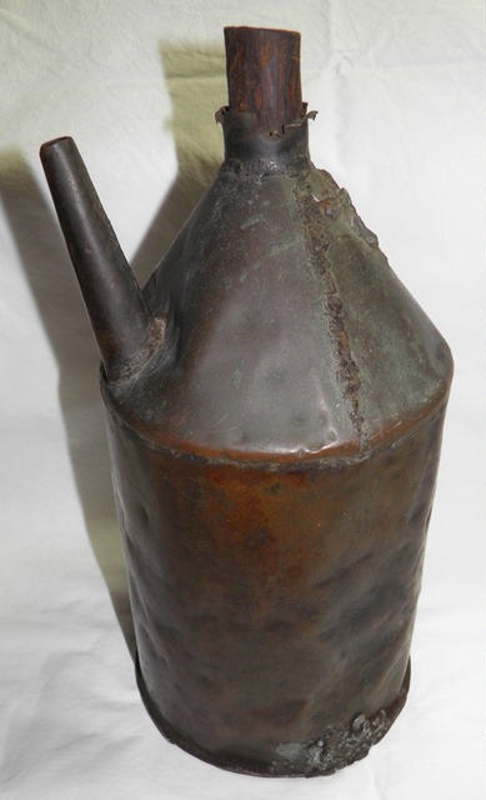 Hand-made metal oil can used to oil machinery at the Hibbard Timber Mill, Port Macquarie [1879-1958]. Has a spout and wooden plug at the top opening. The handle is missing.